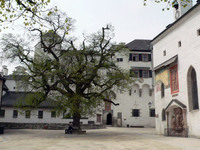 The Mirabell Palace was built by Prince Arbishop Wolf Dietrich in 1606 for his mistress, Salome Alt, and her children. It was converted to the Baroque Style in two stages. 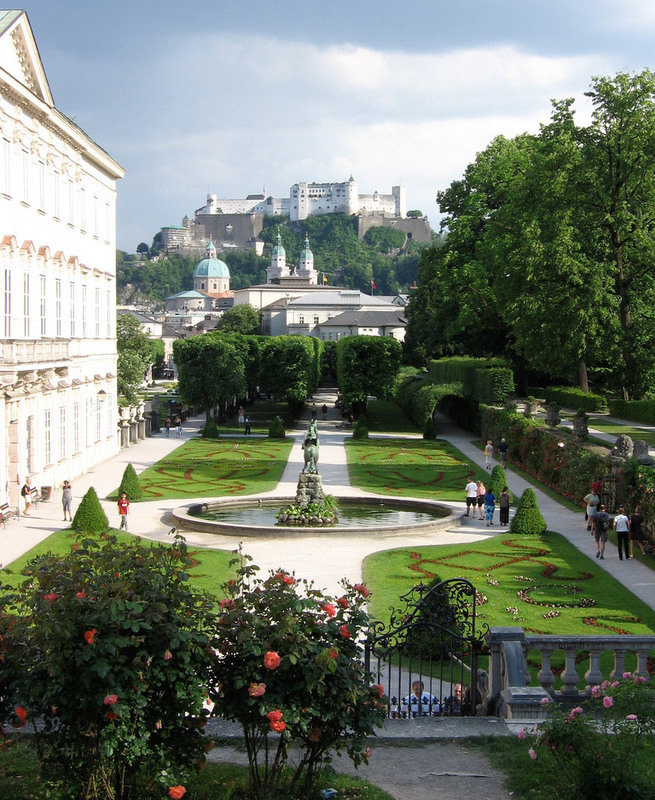 First, in 1689 a new palace and garden were designed by Fischer von Erlach. Second, Lukas von Hildebrandt remodelled the garden between 1721 and 1727. 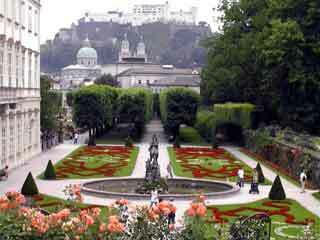 The central axis of the garden is aligned on Hohensalzburg, the castle on the other side of the River Salzach. 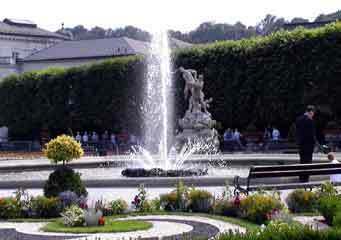 It has a central fountain, an outdoor theatre and a marvellous sculpture collection. 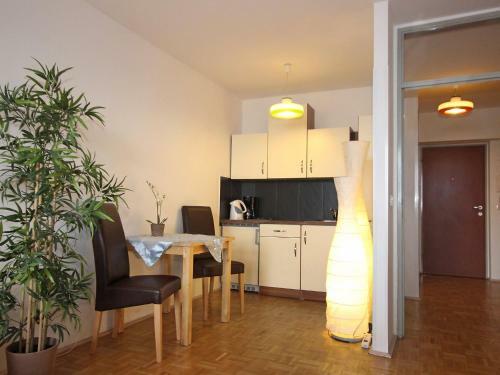 Mirabelle has a key position in the town, near the river and between the old town and the commercial new town. It is also draws upon the surrounding landscape, as Geoffrey Jellicoe observed. Mirabell is a beautiful place, always full of people and more redolent of the atmosphere of a Court Garden than most of old Europe's extant Hofgartens. Mirabell Palace is used as a registry office and elegantly dressed couples contribute to its courtly air. Mirabell and the summerhouse at Hellbrunn were used in the film of the Sound of Music about the von Trapp family. See Marie-Luise Gothein comment on Schloss Mirabell. Mirabell is used as a garden wedding venue.